Soft medium or buzz lightyear? At Brookside Dental, Dr. Brian Westover DMD and Robert Kowal DDS is often asked how to choose the most basic tool of oral hygiene, the toothbrush. Picking a toothbrush in Clackamas can be as difficult as choosing a paint color, and there seems to be just as many choices. Some toothbrush manufacturers claim their brushes freshen your breath or remove stains from your teeth. How do you choose? One key factor is the firmness of the bristles. Hard bristles may be more effective for cleaning burnt steak off a grill or hard water deposits off a shower floor. However, this does not hold true for your teeth. Medium and firm brushes can damage your gums. Soft and extra-soft bristles are plenty stiff enough to clean plague, food particles, and surface stains from your teeth. Soft bristles also offer more flexibility for hard-to-reach nooks and crannies. After having dental work or oral surgery in Portland, especially anything involving soft tissue grafts, make sure you use an extra-soft brush and be careful! When buying a toothbrush for a child in Oregon City, make sure the brush feels comfortable in his or her hand. If the size and angle feels awkward, the child will be less likely to use it long enough to clean all areas of the mouth. 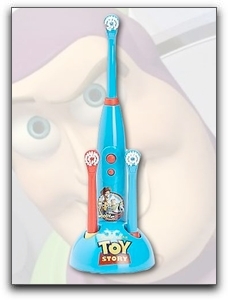 Children do not necessarily need a child-sized tooth brush. Some Portland kids can manage an adult size brush better than a short, narrow child size brush. If you are unsure, ask your Clackamas dentist at Brookside Dental. What about the electric types and water-shooters? Some Clackamas residents like the feeling of vibrating bristles or a mini-squirt gun blasting away at the plaque. Portland people with arthritis or other movement-inhibiting conditions can benefit from powered brushes which take some strain off hands and arm muscles. Is your toothbrush doing the job? Schedule an exam with your Clackamas dentist at Brookside Dental. At Brookside Dental, our friendly dental hygienists instruct our Clackamas pediatric patients and Portland adult patients on proper brushing and flossing. If you haven’t experienced a dental deep cleaning at Brookside Dental, you don’t know how clean your teeth and gums can feel. Schedule a thorough dental cleaning today by calling Brookside Dental at 503-905-3380. An outstanding feature of Brookside Dental is great, friendly team. We offer family dentistry and a full spectrum of restorative dental procedures. The thing that stood out to me was how nice the dentist was to his assistants. I’ve heard many stories and have witnessed how poorly assistants have been treated in other practices but not Dr. Kowal. He was informative, passionate, caring, and personable. The kind of experience that all doctors should aspire to provide in their own place of practice. Bravo. These people were amazing! So nice and pleasant! I had a very pleasant visit with a free teeth whitening! Thanks you guys! My boyfriend and I are defiantly returning to you guys! My husband and I both went here recently. They were offering full x-rays, dental exam and cleaning for $59 and since we don’t have dental insurance right now, this sounded great. We both had such a great experience. The office is so clean and nice and Dr. Kowal was amazing – spent a lot of time on educating us about our teeth and how to keep them healthy. I was really impressed overall and have recommended this practice to everyone! The staff are so kind and take the time to get to know you and your family. On my first visit I was with my 5 year old son and he was nervous but the staff quickly put him at ease. I just finished with my second appointment and it was great! Keep it up guys because I will be back!!! Brookside Dental offers exceptional cosmetic dentistry, dental implants, and general & family dentistry in their two locations: Clackamas and Gresham, Oregon. We serve patients from all over the Portland area including from Clackamas, Gresham, Oregon City, Gladstone, Troutdale and Clackamas, OR.